Posted October 30, 2017 by chris & filed under Casino, Gambling, Gaming. If you are fond of playing online games, especially online slots then you must know that there are various slots out there with different paylines, themes, bonuses and special bonus features. Apart from the slots for winning money, you can also play online roulette for real money which can fetch you an equally good amount. 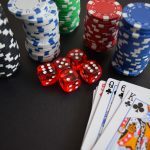 These casinos are specially designed for people who want entertainment as well as the huge amount from the casino, not only the big cash winnings but the incredible range of big promotion wins up for grabs, find some here. If you are a regular player of slots, then you would know that your winnings depend on the Return To Player (RTP) which is expressed in percentage and different slots have different RTP rates. RTP is the percentage of the gambled machine which a player can expect from a machine over time. Let us have a look at 8 Jackpots which offer a high RTP rate. NetEnt is a famous gaming software provider company which has been in the industry for 20 years. They are famous for rolling out the slots with ample of opportunities for players to win big amount and interesting themes which keep you entertained for hours. Another thing for which they are world famous is the high RTP rates of their slots. You will be surprised to know that Mega Fortune by NetEnt has registered itself in the Guinness book of records for the highest jackpot ever paid with a mind-blowing return to player rate of 96.6%. 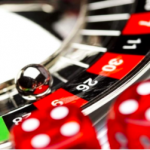 The machine has five reels and twenty-five paylines and also holds the record for the largest online pooled jackpot in the betting industry. If you have never played Gold Rally before, then do try it. It is one of the most popular jackpot video slot game which has been developed by software company ‘Playtech’. It has included its name in the list of the slots which have paid out a jackpot of more than a million dollars several times. This is the first choice of many players because of its remarkable return to player rate of 97.01%. If you are expecting it to have gaudy graphics, then you will be disappointed because it is the one with normal graphics, but the reason why it is the first choice of many players is its RTP rate. If you love to play slots with massive progressive jackpots, then Jackpot Giant is a machine made for you. This is a five reel, fifty payline slots from Playtech and you can place a bet with one coin per line. With a progressive jackpot, it has the RTP rate of 94.22% and a low to medium volatility. Despite it doesn’t have so attractive return to player rate, this is a pretty popular slot because of the progressive jackpot offered by it. In order to win the combo from this slot, you need to place maximum bet on all the paylines. This name may sound funny, but no doubt, this is progressive slot is a decent one with five reels, and twenty-five paylines. Yggdrasil gaming software, which is a famous gaming software provider company, has developed this gaming machine. If mobile or online jackpot excites you, then we are sure that this slot will not disappoint you. There are no extraordinary graphics like other slots, but still, it has become successful in attracting players because you will feel closer to a big win with every single spin. Apart from offering decent action, the slot also has the interesting return to player rate of 95.3% which is pretty impressive. Being a progressive game, Empire Fortune has five reels and ten paylines. Its special feature is the Jackpot wheel offered by this slot which can help you win as much as five hundred times the initial bet. Not only this Jackpot wheel, but the slot also offers four bonus modes and three progressive jackpots which make it popular among gamblers. If you are playing this gaming machine, then don’t expect to start winning from the very first spin, it will take some time, and you will start winning from fifth or sixth spin. With a jackpot wheel, four bonus modes and three progressive slots, there is so much to win from this slot. Talking about RTP, the slot has the return to player rate of 95.5% which is a lot better than other slots. Arabian Nights is a fun-filled slot by NetEnt which has progressive jackpot to win. You can play it in a local and global game. 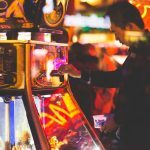 According to the official website of the game, there are three payout rates depending upon whether you are playing the slot as a progressive jackpot or as a game which has jackpot local to the casino. The RTP rate if you are playing jackpot local to the casino is 95.60%, and if you are playing a progressive jackpot, which is linked to the global jackpot, then the Return To Player rate is 95.2%. Both the rates are pretty decent in comparison to other slots. Ideal game for beginners, Hall of Gods is a progressive slot with the Return to Player rate of 95.5%. It is a good deal considering it is a progressive slot. This is an easy to play game with simple graphics, nothing flashy. It has five reels with twenty paylines. Minimum bet which can be placed in the slot is 20p per spin, and the maximum bet is £50 per spin on all paylines. The game features characters from Norse mythology, such as Odin, Thor, etc. As the name suggests, Devil’s Delight is a slot based on the horror genre with symbols such as tombstone, skeleton, flaming number logos, etc. Not for the weak of heart, this is a slot by NetEnt which has various bonuses which compensate for the lower payout. You can win a good amount by triggering bonuses such as Sin Spins bonus and Soul Reaper, which are the two main bonuses offered by the slot. 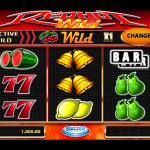 It has the Return to Player rate of 97% which makes this slot very popular among the players. Slots are the most popular type of gambling games in online as well as land-based casinos mainly due to the prizes you can win by playing slots. 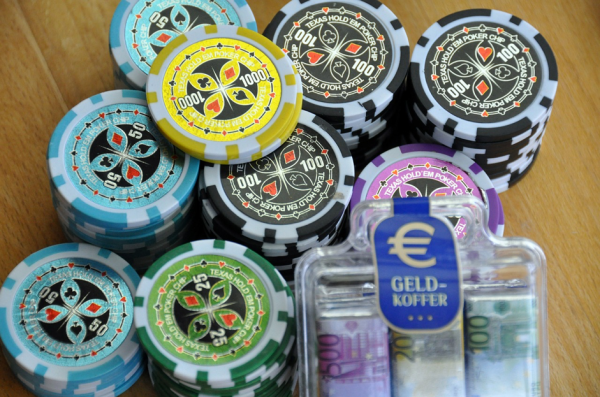 While playing any gambling game, decide your bankroll beforehand and stick to it strictly. 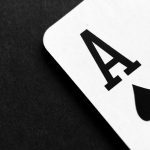 Do You Really Need to Suit Up before Going to the Casino?